To comply with the new International Fire Code and National Fire Protection Association (IFC/NFPA) standards, the Bird RescueLine delivers on a key objective: ensuring that first responders have reliable radio communications in large structures. It features a 12-hour battery back-up and an alarm interface providing all five required alarm conditions, including antenna system failure and 70-percent low battery. The Bird RescueLine is compatible with standard fire-alarm panels. The Bird RescueLine is especially valued for its ability to allow public-safety personnel to communicate during critical events even while power is unavailable. With the new buildings required to meet the more stringent IFC/NFPA codes, the Bird RescueLine gives contractors, communication systems integrators and public-safety personnel one less cause for concern. Bird Technologies’s new signal booster is the direct descendant of the Bird SBII Series Signal Booster, public safety’s most preferred choice for life-critical in-building radio communications. 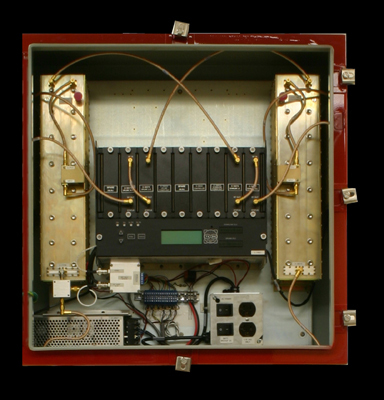 TX RX Systems Inc., part of Bird Technologies, invented and built the first signal booster 25 years ago. TX RX Systems’ prides itself on delivering top-quality systems that enhance and extend the range of radio communications in basements, subways and other restrictive venues that challenge life-saving communications. YOU’RE HEARD, LOUD AND CLEAR.